Editor’s Note: Leading up to the announcement of the 2015 Rider of the Year we are re-releasing pieces of each of the past 14 ROTY articles from the magazine. The 2010 award went to the King of the Cable, Tom Fooshee. For years Tom pushed that aspect of the sport, and usually to not a lot of credit or fanfare from the mainstream aspect in the States. Looking back, we can all see just how right – and important – Tom’s stance was and continues to be. Motivation is a funny thing, mainly because it varies so widely from person to person in both form and function. For many wakeboarders (and many people in general) success, personal achievement and recognition are some of the biggest motivators. Tom Fooshee is not like most wakeboarders. Nor is he like most people, for that matter. Rather than motivated in the interest of success, Tom is successful because of his motivation. Think about that for a moment, or just talk to Tom for a couple minutes, and you’ll understand what we’re getting at here. Tom loves wakeboarding so much and is so dedicated to not only riding as much as possible, but also traveling the world as an ambassador, that success, to him, is doing more. There’s an old adage that applies less and less to the self-indulgent, instant information, on-demand attitudes of today’s society: “It’s not about the destination, it’s about the journey.” These days it seems everybody just wants to get there, as quickly as possible and by whatever means necessary. But for the life and career of Tom Fooshee, this is not the case and that statement fits perfectly. 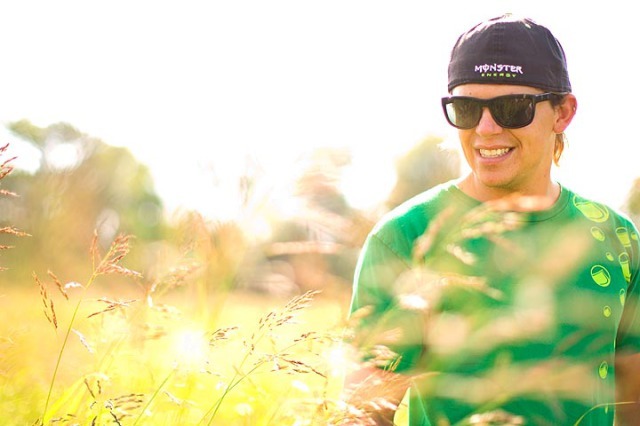 Over the past couple of years Tom has established himself at the front of wakeboarding’s growth and progression. We may not have realized it at first; given that Tom calls Texas home, rather than Orlando, but in just this past year he’s accomplished more than most will in a career. To put it simply, Tom is one of the best wakeboarders in the world, with a list of podiums, championships, titles, and tricks that stretches much farther than you’d think. While many might label Tom as a “cable rider”, Tom is much more than that. 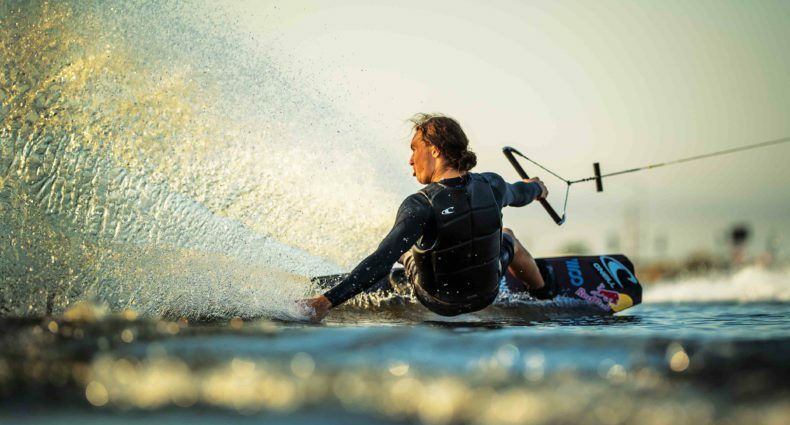 Really, he’s just a wakeboarder, who happens to shred anything, in all sorts of manners, no matter what is pulling him: but he does so with a passion and dedication that unfortunately is all to rare in the sport these days. Tom not only pushes himself to succeed, but he envisions a bigger, better future for the sport on a global level and he pushes in the interest of reaching that potential as well. 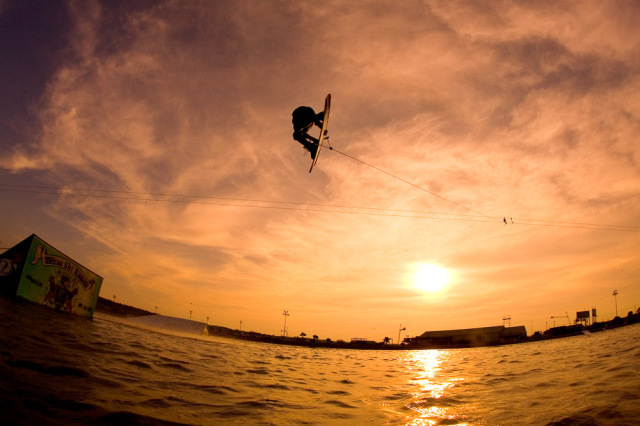 Wakeboarding and wakeskating are dynamic sports; constantly evolving, progressing, and growing in ways often thought not possible just a couple years earlier. But in order to continue evolving, progressing, and growing, a sport needs catalysts; people a little bit ahead of the curve to set things in motion. People who don’t mind potentially being isolated and lampooned for a while as they wait for everybody else to catch up. When Scott Byerly started turning heads, the established industry initially blew him off. Today he’s known as the Godfather. Thomas Horrell, for better or worse, was also a few steps in front- he could see things playing out way beyond what anybody deemed possible. 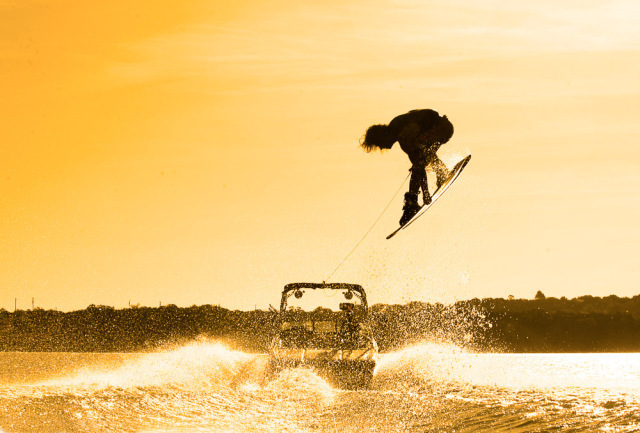 We believe it’s safe to say that wakeboarding is now catching up with Tom Fooshee. And if Tom could have things his way, there wouldn’t be any destination at all; he’d just keep going right along with the journey, shredding in ways only he can and helping the sport one trick at a time.